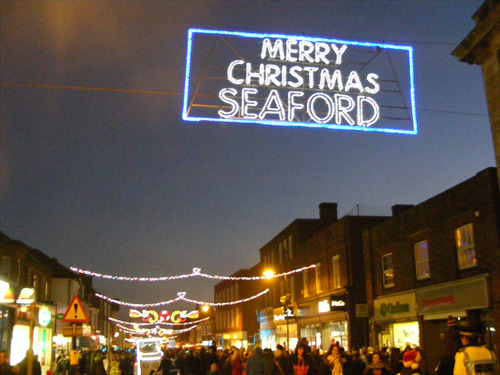 On Saturday 6th December Seaford Christmas Magic returned, organised by Seaford Town Council and Seaford Chamber of Commerce, the Town Centre was filled by the sights and smells of Christmas for the all new day time arrangement. The day proved to be a huge success enjoyed by so many from Seaford and from outside of the town, which was blessed with beautiful weather. Seaford Town Council released a survey after the event, which they are asking the public to answer, so to improve the event for all involved this year. The survey has so far been shared on Facebook and other websites to various Seaford Community based groups and some further afield, with a varying range of answers and opinions. If you do not have access to the internet please contact Seaford Town Council and a hard copy of the survey can be supplied for a small charge. Seaford Town Council wishes to thank all those who have already completed the survey as all feedback is warmly welcome. The closing date for this survey is Monday 2nd February 2015.